The Nintendo World Championships live event in LA will be a fun way to kick off E3 week, and Nintendo of America has now outlined key details on the contest. We now know two of the games to be included - one freshly announced - along with a basic format, the competitors and the host. A video outlining these details is below. So, what do you think? Cosmo is my favourite speedrunner. Egoraptor, on the other hand...... will be funny, at least. Cool, both Smash and Splatoon are dealt with even before E3 has started! Andre is going to be a commentator? Guess I'll need to watch this after all. TMR HYPE! Though they probably won't have Battletoads. Addition of Splatoon has me intrigued. Not sure about spending a nice sunny Sunday watching a screen but if it rains Ill tune in. Kevin Pereira is a great host. Him and Adam Sessler kept G4 channel alive and watchable in its final years. Looking forward to the Splatoon segments on Nintendo World Championship. Is Arin even good at games like competitively? Better. Can't wait to see 'em! Also, Egoraptor? Sign me up! I was wondering why Andre never made a video about the World Championships returning. I guess this is why. So hyped after seeing the competitors and Andre as a commentator! I would have preferred Nintendo to not invite anyone and make every participant earn their spot. It would have been cool if Nintendo would have added 8 more Best Buy locations and allowed for 8 more local winners instead of inviting speedrunners.....Just my opinion though. 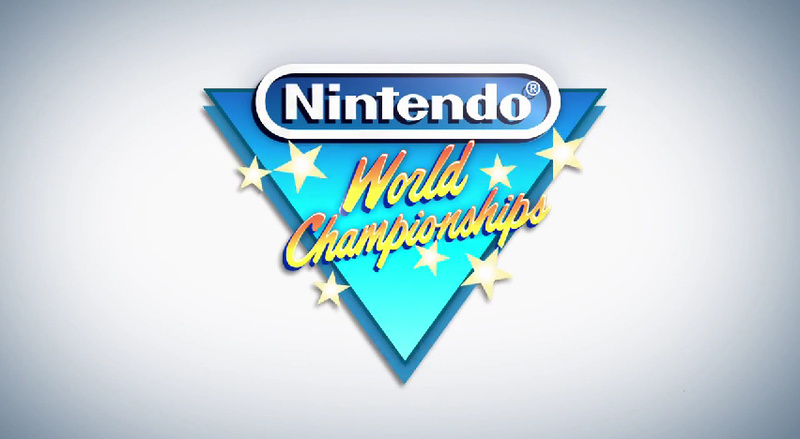 They really shouldn't have titled this "Nintendo World Championships". It's not similar at all to the 1990 one. They should have called this something different to represent it better. Eight people picked from only 8 locations in only the entire US, and then 8 people who didn't even have to qualify. I'll probably just check out the news article afterwards. Does any one of these people live outside the United States? I was counting on the 8 invites to put the "World" in the Nintendo World Championships 2015. That, and it seems these are all just video game-related celebrities rather than people who actually deserve to be there, meaning the "Championships" in Nintendo World Championships 2015 is also not represented. So now it's just, Nintendo 2015. Can people stop with negativity towards it being called World Championships, which is obviously tongue in cheek, and just enjoy it for what it is... a fun competition. Thank you. Since I can't figure out how they'll fit the Splatoon online modes into a tournament format I'm guessing they'll be using the Battle Dojo which is significantly less exciting. 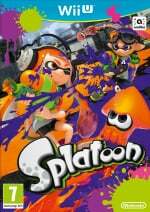 Is Splatoon included in the 8 games? I was hoping it would be a bit more but whatever. Andre's commentating so I'm going to have to watch it anyway. The invited contestants should battle in a separate division, away from the contestants that had to go out of their way to qualify. Also, not having Fred Savage host is a missed opportunity. I like that they got djWheat in as a commentator. This is shaping up to be a great event! Andre is hosting?! I love Black Nerd Comedy. Was expecting JWittz to commentate, due to his experience at the Pokemon World Championships. Cosmo? Ahhh this outta be good. It will be a fun watch Im sure, but I wonder there's no Smash tournament this year, it was really fun last year with the crown and slightly annoying but funny commentators. "MEGA MAN! MEGA MAN! THE SUPER FIGHTING ROBOT!" I'll be rooting for Cosmo I guess. He's probably one of my favorite speedrunners. I love Game Grumps too, but I highly doubt Arin would ever win... for reasons anybody watching Game Grumps would know. And Andre is hosting! This tournament should at least be fun to watch. Of all the people they could've invited, they invite Egoraptor? Why not Jirard Khalil or James Rolfe? I'm still keeping my fingers crossed for a big reveal during the finals. Well, it'll be fun to watch egoraptor play, at least. @SMW I'm pretty sure Arin is that dude's real name. Andre, and Justin Flynn are real name's too...I think. I'm not 100% positive Justin Flynn is his real name but I'm about 95% sure. @Megumi Now THAT would be awesome. I have a silly question, is it fair if one of the guests, or all of the guests that did not go and compete at Best Buy, win the competition? I really dislike it that they brought in guests... does somebody know if they are actually competing against the real competitors?